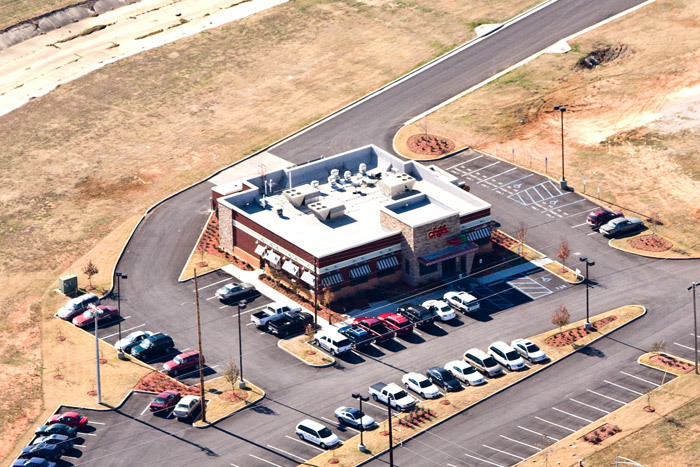 PWM performed civil engineering and surveying for Chili’s during the design and construction of a new store in Decatur, AL. Our scopes performed include site grading and drainage plans, parking, landscaping plan, and design of site for construction of parking in FEMA Floodway. Site utility design, topographic mapping, construction layout and staking for all aspects of construction of store, and provided ALTA surveys of pre-construction and post construction.